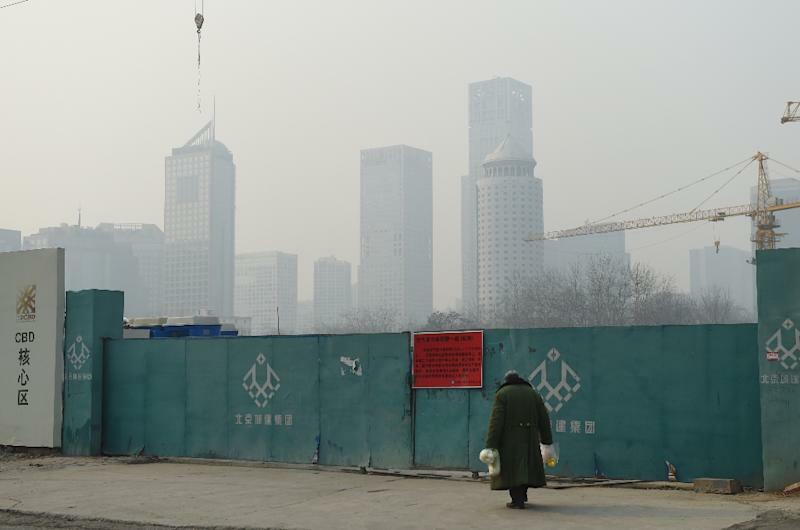 Beijing (AFP) - Beijing has ordered 2,100 factories to suspend or reduce production as part of its "red alert" measures to deal with smog, the government said Monday, as the city remained shrouded under toxic haze for the third consecutive day. The Chinese capital imposed the highest tier of a four-colour smog warning system for four days starting Saturday, the second time the red alert was applied since Beijing established the pollution precaution scheme in 2013. As part of the "emergency response plan", 2,100 factories in the city and on its outskirts have been ordered to either stop or scale back production in an effort to cut emissions, an official from the Beijing Municipal Commission of Economy and Information Technology, who declined to be named, told AFP. The government was sending inspectors to the plants on a daily basis, she said. "[The factories] all strictly carried out the measures" as required, she added. Counts of PM2.5 -- harmful microscopic particles that penetrate deep into the lungs -- were 172 micrograms per cubic metre earlier Monday, according to the US embassy, which issues independent readings. The reading is nearly seven times the World Health Organisation's recommended maximum exposure of 25 over a 24-hour period. PM2.5 is expected to peak at above 300 micrograms per cubic metre on Tuesday, the state-run Beijing Daily reported, citing environment authorities. During the red alert, Beijing pulls half the city's cars off the roads, except for buses, taxis, electric cars and vehicles for special purposes such as ambulances, while the public transport system including subways increases capacity, the report said. Schools and kindergartens in Beijing were advised to close on Monday and Tuesday under the red alert and teaching materials were uploaded online for the students, the paper said. It added that 33 cities in other provinces including Hebei, which surrounds Beijing, Henan in central China and Shandong in the east also imposed similar steps to contain the smog. 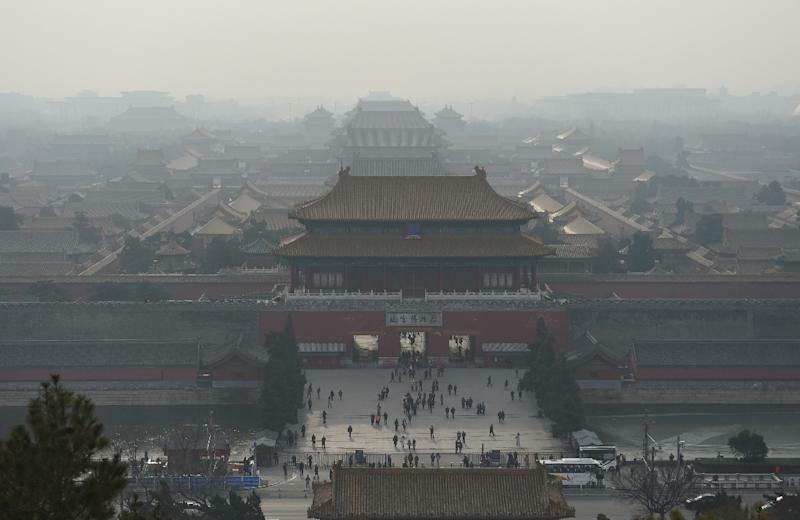 Beijing issued its first-ever red alert on December 7, declaring emergency pollution measures following scathing public criticism of the city's weak response to choking smog that settled on the city earlier in the month.